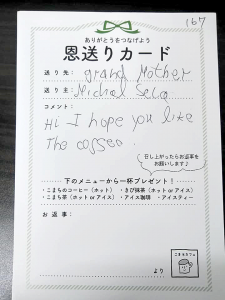 We reconnect social ties for happy child-raising, through café and inclusive projects. 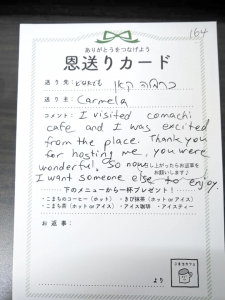 〇 I visited comachi cafe and I was excited from the place.Thank you for hosting me,you were wonderful.So now I wanr someone else to enjoy. 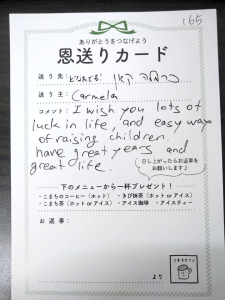 〇I wish you lots of luck in life,and easy way of raising children have great years and great life. 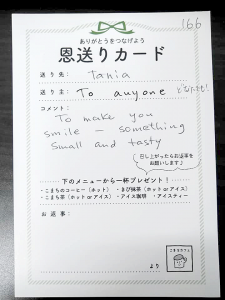 〇Hi I hope you like the coffee. Copyright © こまちぷらす　All rights reserved.